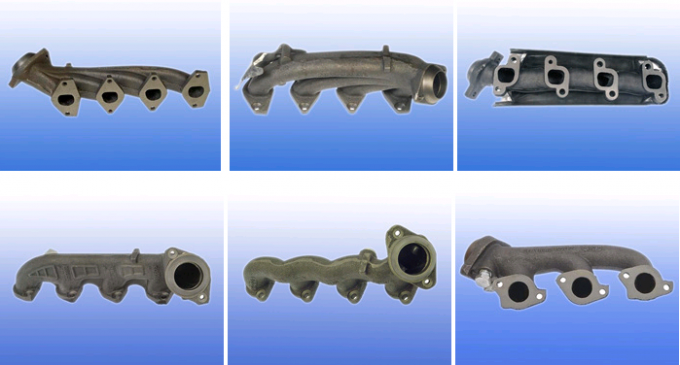 Exhaust manifold is a system which is used to vent exhaust gases away from an engine. The manifold extends from the cylinders to the exhaust pipe, collecting and moving exhaust away from the engine. Exhaust can be harmful to inhale, making it very important to have a fully functional exhaust manifold. The manifold consists of a series of pipes which connects to the cylinders and then consolidate in a central large pipe which vents to the exhaust pipe. 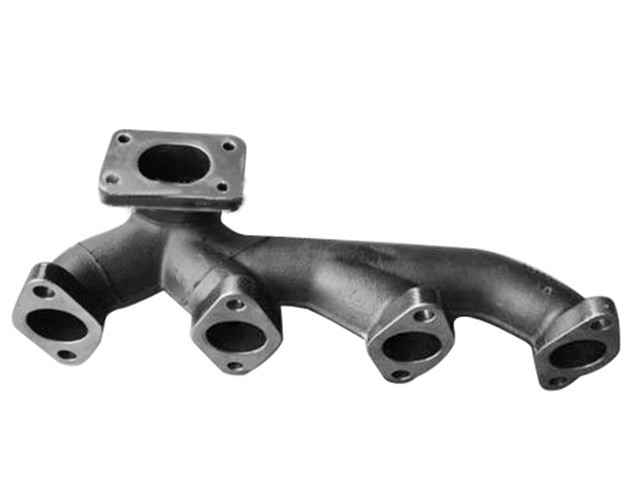 Our factory has been manufacturing various cast iron product such as exhaust manifolds, turbo for cars, car, truck, ship, etc. The material involving gray iron, ductile iron, stainless steel etc. The exhaust manifolds we made are mainly exported to UK, USA, Australia, Turkey and European countries. Advantage High tensile strength and elongation, so strong enough for tough working condition. Surface treatment Back/silver painting, natural sandblasting. Rebuild Kit, Cylinder Head, Fuel Injector, Camshaft, Crankshaft, Engine block, Turbocharger, After Cooler, Gaskets Set, Water Pump, Oil Cooler, Engine Model Coverage. Quality inspection is our most important daily job to do. We have our inspectors to check every finished parts before shipment, all parts are 100% inspected before shipment. We guarantee every customer can receive superior quality part with most competitive price. Advanced production-line ensure us to save great cost on making exhaust manifolds for our customers. 1. We take every order seriously no matter small or big. 2. Our lead time is much shorter than any other dealers. 3. Extremely low MPQ (minimum packing quantities). 5. All engines and spare parts can be verified in Cummins system. 6. Well-rounded packaging to make sure all goods safe in shipping. 7. Professional team with 10 years working experience in this industry.